Check out 28 beautiful and extremely stunning mehandi designs that you can sport for all sorts of occasions! All my friends and family seem to be getting hitched these days. Mehandi is a huge celebration in itself these days. If you, like me are attending a lot of weddings this season, it is a good idea to keep a selection of mehandi designs ready. This way, you can just show the mehandi artist which one you would like, depending upon the occasion. That’s why we have brought you 28 beautiful mehandi designs that you can sport for every occasion. Moroccan mehandi is all the rage these days. 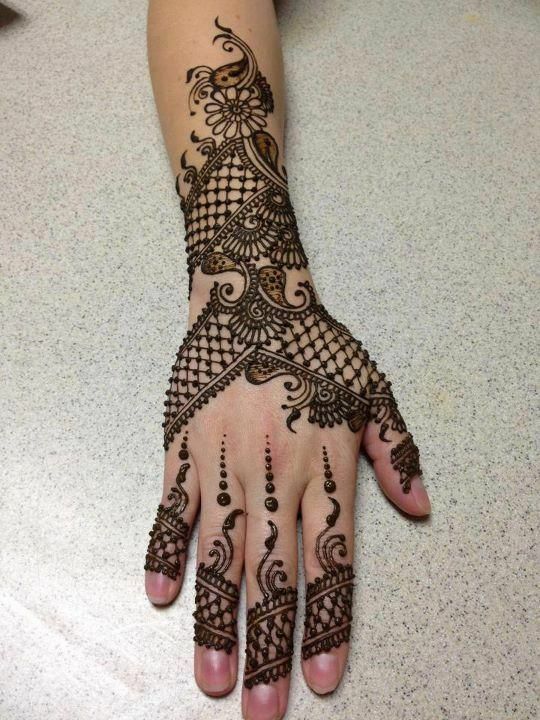 It’s different from Arabic mehandi because it’s much more structured and angular. 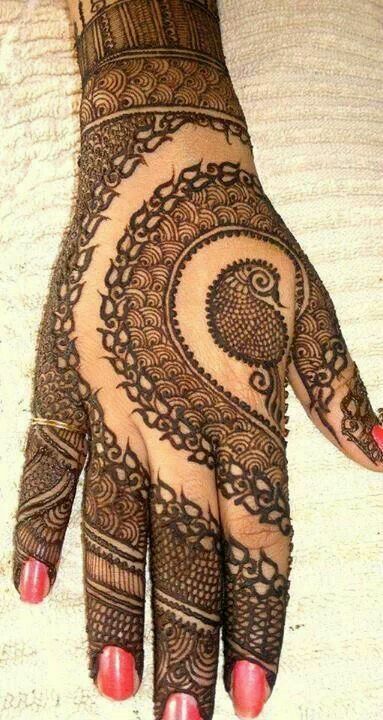 Moroccan mehandi seems almost geometric when compared to Arabic mehandi. However, the effect is extremely elegant, which makes it the perfect choice for a close friend’s wedding. If you need to up the effect, we suggest a mixture of Arabic and Moroccan designs. The Arabic elements of flowers and creepers make the effect grander and more feminine while the structure of the Moroccan designs make your mehandi appear solid and gorgeous. 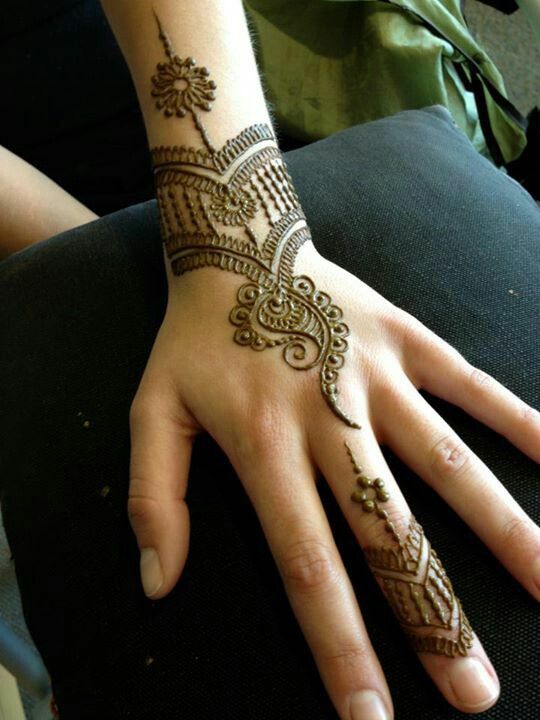 Indo-Arabic mehandi is also gaining popularity in wedding circles these days. It is perfect for the unmarried sisters of the bride and groom because the design is not old and boring, but it is intricate enough to make the hand appear full. Choose a more modern design to go with a slinky lehenga or a designer sari. Experiment with your accessories to make the look appear different from the rest. Do your research well and pick a design that goes with all the outfits of the wedding. Minimalist mehandi is for practical girls out there who understand that full hands of mehandi can’t possibly match with western formals, i.e. office wear. So they can pick small motifs and designs on their palms which look fantastic because they are simple and not at all overbearing. A mango or a dignified peacock with some detailing is all that’s required. Don’t limit your thinking to your palms- think out of the box. Get mehndi designs applied on your back or on your upper arms, to make a statement like never before. Pick a design that suits your personality and dressing sense. Let your nails grow before your mehandi session as it generally looks better with longer nails, as they tend to make your fingers appear slender and aesthetically pleasing.